Headquartered in Fountain Valley, California, Kingston is by far the world’s largest independent memory manufacturer. From its beginnings in 1987, Kingston has grown to a 27% market share in 2004 and almost $2.5 Billion in sales – which is more than 3 times larger than #2. Perhaps even more important was the 35% growth in revenue for Kingston from 2003 to 2004. Combining one of the most extensive and stringent testing processes in the memory industry, an exceptional free tech support center and a consistent roll-out of innovative technologies, Kingston Technology has continually set industry standards of quality and reliability throughout its history. Kingston has had much success over the years with their SSDNow series of SSDs which are aimed at the value segment of the market and planned to be the best SSD of 2013 for limited-budget consumers. 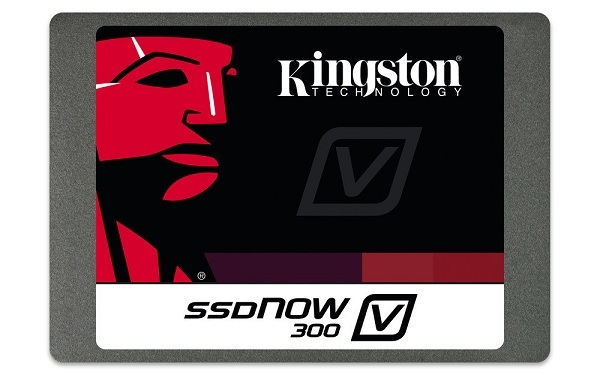 Building upon that track record of success Kingston releases the SSDNow V300 SSDs. These SSDs might not top the performance charts but they bring along enough performance to provide end users with a faster, smoother computing experience. The Kingston V300 isn’t the fastest SSD on the market but it’s based on proven technology at a great price point. Currently, 120GB is the sweet spot for entry-level SSDs—customers who opt for smaller 60-90GB SSDs may find their program installations sharply constrained. The firmware issues that plagued the first SSDs equipped with SandForce 2281 controllers have been long since resolved, and the three-year warranty Kingston includes on these products matches the terms offered by other manufacturers. Kingston released a few video tutorials to help their customers well-deal with their SSD products.